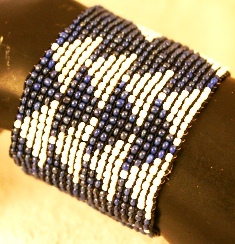 South African motif elasticized bracelets wide cuff size handmade four color navy blue and white. One size fits all. Made for New Bein' Brooklyn NY.